Malaga Cove concerts continue Tuesdays through Aug 29. 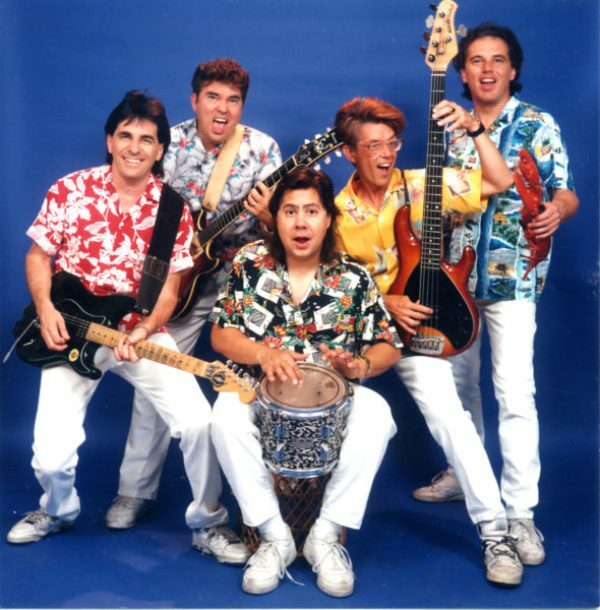 Pictured are the Hodads, a Beach Boys tribute band, performing Aug. 22. Malaga Cove Summer Concert Series are on Wednesdays at 7 p.m. Bring your blankets at 3 p.m. to save a spot). Aug. 1 is A Peaceful Easy Eagle tribute. Detour performs Aug. 8. On Aug. 15 Jim Sitterly performs classical favorites. Enjoy! Malagacoveconcerts.com. With the Palos Verdes Peninsula Land Conservancy. Every Thursday in August from 3 – 10 p.m., enjoy hand-crafted local beer and support the Conservancy at the same time. Smog City Brewery, 1901 Del Amo Blvd., Torrance. Nelsons at Terranea offers a summer concert series every Saturday night through Labor Day, 6-10 p.m. Each evening a different local South Bay band will be playing with everything from Hawaiian, reggae to classic rock. Along with the music, Chef Bruce and his team put together seasonal culinary creations to complete the experience. There is also a different guest brewery there each Saturday evening pouring their favorite styles from fresh kegs. Picnic style table abound with bistro lights above, a starry night and great tunes, all at the ocean’s edge. Come out and dance your cares away! Admission is free and there’s a nominal charge for food and beverages. Go to www.terranea.com/blog/rock-n-roll-saturdays-at-nelsons to learn more. Offers weekly and periodic activities and services that enhance and enrich the lives of senior adults living on the Palos Verdes Peninsula and in the surrounding community. Call the Center for more information (310) 377-3003 or for Peninsula Newsletter for Active Seniors go to: pvseniors.org. Monday – Friday, 9 a.m. Enjoy nurturing seedlings and help plants grow for habitat restoration projects. Must RSVP 48 hours in advance. Sign up at: www.pvplc.volunteerhub.com/. Volunteers invited to decorate and sew Happy Hats. A non-profit organization based in Torrance. Our hats bring immediate smiles and happiness to children with life-threatening illnesses in South Bay hospitals. No creative talent necessary! Bring a friend and join us for this heartwarming and fun activity at our facility. Workshops (2 hours ea.) Monday, Tuesday and Thursday between 10am – 3pm, 923 Van Ness Ave., Torrance. Phone: (310) 787-0970 to schedule a time happyhatsforkids.org. The Photographic and Digital Artists group of the Palos Verdes Art Center seeks to add a few new members. Do you actively produce photographic art? If you would like to join fellow artists hearing guest speakers, participating in group shoots and gallery visits, learning from and teaching others the craft, showing at galleries and festivals, and just having fun, go to www.padapv.org and click on the “new members application” site. You will find an application form and instructions on submitting a portfolio. The deadline for the initial submission is August 15. For more information contact Beverly Gates: call 310 375-9634 or email bgatespeds@aol.com; or email Patrick Smyth: Patrick@digitalsmyth.com. Native Plants and Hummingbirds at the White Point Nature Center and Preserve, 11 a.m. Learn from a native plants expert how to grow the right plants to attract and support these tiny, beautiful creatures. Free. 1600 W. Paseo del Mar, San Pedro. For more information, contact (M-F) (310) 541-7613 or (S-S) (310) 561-0917 or sign up pvplc.org/_events/WhitePointWorkshopRSVP.asp. At White Point Nature Education Center, 12 p.m – 2 p.m. Plants sold on first-come, first-serve basis. White Point Nature Preserve located at 1600 W. Paseo del Mar in San Pedro. For more information, contact (M-F) (310) 541-7613 or (S-S) (310) 561-0917. At Native Plant Nursery, 9 a.m. – noon. Nurture seedlings and grow shrubs for habitat restoration projects all around the Peninsula. Reservations required by Wednesday, July 25th. Sign up at https://pvplc.volunteerhub.com. Everyone’s favorite ogre is coming to the stage in this musical adaptation of the beloved animated film “Shrek”. ENCORE’s all-ages production (with actors ranging from 4 years old to adults) throws just about every fairy tale ever told into a blender for a hip and funny mash-up. At George F Canyon Nature Preserve, 8:30 p.m. Advance reservations are required to join one of these guided night walks. Limited to 20 people, ages 9 and up. $12 per person. For more information and to RSVP: pvplc.org/_events/families.asp. Peninsula Friends of the Library, at Peninsula Center Library, 3603, 701 Silver Spur Rd., Rolling Hills Estates. Thursday 10 a.m. – 8 p.m., Friday and Saturday 10 a.m. – 5 p.m. and Sunday 1 – 5 p.m. (310) 9584 x 264, pvldfriends.org. At Ernie Howlett Park, 25851 Hawthorne Blvd., Rolling Hills Estates. 8 p.m. Info (310) 377-1577 City of Rolling Hills Estates. The second annual “Pastel Impressions,” a fine art show featuring selected works from The Pastel Society of Southern California (PSSC), will be on display August 2-25, with a public reception, 5-7 p.m. at the Malaga Cove Library. The exhibition features original paintings by 22 pastel artists, including nationally recognized PSSC members from the South Bay, Palos Verdes and the greater Southern California area. Gallery hours are Thursdays and Fridays, Noon to 4 p.m.; and Saturdays, 10 a.m. to 5 p.m.; with other hours by appointment. Most of the artwork is available for acquisition. The community is also invited to hear a free talk on collecting art, presented by Paul Corneil, during the opening reception. For more information, call the Library office at 310-377-9584 or visit www.pastelsocal.com. 2400 Via Campesina, Palos Verdes Estates. Cabrillo Marine Aquarium (CMA) invites you to meet Dr. Ted Cranford, San Diego State University at the Discovery Lecture Series presented by AltaSea and CMA from 7 to 9 p.m. An entire minke whale was CT scanned using a rocket motor scanner to investigate the sound reception apparatus. The heads of whales have intriguing similarities to radio antennas. Both can send or receive signals with specific frequencies or directional characteristics. This is a free lecture and will be held in the John M. Olguin Auditorium. Space is limited; please RSVP at aprildiscoverylecture.eventbrite.com. Parking is free. 3720 Stephen M. White Drive, San Pedro. (310) 548-7562 or visit www.cabrillomarineaquarium.org. For more information on AltaSea at the Port of Los Angeles, please visit www.altasea.org. Roald Dahl’s delicious story of the world-famous candy man comes to life in the Palos Verdes Performing Arts Conservatory production of “Willy Wonka Jr.” at the Norris Theatre. The production, which features a large cast of talented student actors ages 7 – 12, includes such favorite songs as “Pure Imagination” and “Candy Man.” Through August 5. Show times are 7:30 p.m. Friday and Saturday and 2 p.m. Saturday and Sunday. $15 for youth ages 17 and under and $30 for adults, plus a $7 facility fee on each ticket. For more information or to purchase tickets, call 310-544-0403 or visit palosverdesperformingarts.com. 27570 Norris Center Drive, Rolling Hills Estates. Cabrillo Marine Aquarium invites the public to participate in our its Beach Clean-Up from 8 to 10 a.m. Meet at the steps in front of the John M. Olguin Auditorium. Visitors can extend their experience by visiting the aquarium from 10 a.m. to 5 p.m. 3720 Stephen M. White Drive in San Pedro. (310) 548-7562 or visit our website at www.cabrillomarineaquarium.org. Free art activities for kids and adults, artist demos, arts and crafts for sale, music, food trucks and more. 11 a.m. – 4 p.m. Palos Verdes Art Center, 5504 Crestridge Rd., Rancho Palos Verdes, pvartcenter.org. (310) 541-2479. At George F Canyon Preserve by the Palos Verdes Peninsula Land Conservancy, 10 a.m. -11a.m. Bring the children for an easy, educational hike in this beautiful canyon preserve. Each month our naturalist will focus on a different aspect of the native habitat and wildlife that thrive here. All ages. Free. 27305 Palos Verdes Drive East, Rolling Hills Estates, 90274. For more information, contact (M-F) (310) 541-7613 or (S-S) (310) 547-0862 or RSVP at: www.pvplc.org, Events & Activities. At Alta Vicente Reserve, 9 a.m. – noon. Help restore this unique canyon habitat home to many threatened and endangered wildlife species. Sign up at pvplc.volunteerhub.com. Join Cabrillo Marine Aquarium from 9 a.m. to noon to search for the great whales that visit our coast during the summer. Guests will board the 90-foot yacht, Spirit, in San Pedro and head out to sea in search of blue whales and other marine life, such as humpbacks and fin whales, as well as many species of dolphins and seabirds. Cost is just $30 ($25 for FRIENDS member). Reservations required. Cabrillo Marine Aquarium is located at 3720 Stephen M. White Drive in San Pedro and is a facility of the City of Los Angeles Department of Recreation and Parks. For further information, reservations, or to receive a calendar of events, please call (310) 548-7562 or visit our website at www.cabrillomarineaquarium.org. Shark Week returns to Cabrillo Marine Aquarium. Special shark crafts and activities daily like a scavenger hunt and special photo opportunities! The Exploration Center invites kids of all ages to participate in an exciting shark egg case craft that they can take home. Learn why sharks are important for the marine eco-system and how to help protect them from extinction. The Marine Research Library will have special shark videos, books, exciting word searches and puzzles. Cabrillo Marine Aquarium Collections will also have a shark specimen display, featuring real shark egg cases, shark skin and shark jaws. Exhibit continues Aug. 7-11. Public hours are Tuesday through Friday from noon to 5 p.m. and weekends from 10 a.m. to 5 p.m., closed Mondays. 3720 Stephen M. White Drive, San Pedro. For Shark Week program schedule or further information, please call (310) 548-7562 or visit our website at www.cabrillomarineaquarium.org. The South Bay Coastliners, The Westminster Chorus, and The St. Peter’s by the Sea Men’s Chorale will host an afternoon ice cream social at St. Peter’s by the Sea in Rancho Palos Verdes. Guests will be able to take a step back in time and enjoy delicious complimentary ice-cream sundaes while listening to live bygone era music. Take a respite from the summer heatwave and come by! All ages welcome. Concert from 2 – 4 p.m., 6410 Palos Verdes Drive South. StPetersPres.org. Donations accepted. Visit www.coastliners.org for more information. Celebrate a summer evening at Mary & Joseph Retreat Center. This year’s fundraising evening will include Mass, a reception, concert and dinner. Pianist Noel Gould, who won the 2017 Grand Prize at the House of Hope Talent Show, will perform. $100. 5-9 p.m. To register call Marlene at (310) 377-4867 x234 or email mvelazquez@maryjoseph.org or register online at www.maryjoseph.org. 5300 rest Road, Rancho Palos Verdes. Cabrillo Marine Aquarium offers “Crab Shells and Native Tales,” a five-day summer Science at the Seashore workshop for 3rd and 4th grade students. this session is offered from 9 a.m. to noon. Throughout the week, students observe animals in the aquarium, explore nearby coastal habitats, participate in ecological games and use a variety of scientific tools (microscopes, plankton nets, binoculars, etc.) to investigate live marine animals. Students hold hermit crabs, feed barnacles, go crab fishing, and create take-home projects. $85 ($77 Friends member) and includes a Science at the Seashore T-shirt. Pre-registration is required, as class size is limited. The Aquarium is located at 3720 Stephen M. White Drive in San Pedro and is a facility of the City of Los Angeles Department of Recreation and Parks with support from Friends of Cabrillo Marine Aquarium. For reservations or further information, or to receive a calendar of events, please call (310) 548-7562 or visit our website at www.cabrillomarineaquarium.org. Register your RHE block with Alexa: alexad@rollinghillsestatesCA.gov or (310) 377-1577. The classic story tells of Belle and the Beast, who is really a young prince trapped under the spell of an enchantress. Warner Grand Theatre, 478 W. 6th St., San Pedro. Box Office phone hours are Monday to Friday 10 a.m. – 6 p.m. For more info or to purchase special ticket packages, call (310) 833-4813. For more information visit www.encoresouthbay.org. Palos Verdes Peninsula Land Conservancy at Friendship Park, 9 a.m. Take in some of the best harbor and Catalina views on the eastern side of the Peninsula. See habitat restored by the Conservancy for the Palos Verdes blue butterfly. Drive up to the parking lot; entrance is near corner of Western and 9th. 1850 W. 9th Street, San Pedro. For more information, contact (310) 541-7613 ext. 201 or sign up at www.pvplc.org/_events/NatureWalkRSVP.asp. Learn techniques for trail assessment and erosion repair. 9 a.m. – noon. Sign up at pvplc.volunteerhub.com. Meet in the George F Canyon nature center for hands-on science-based activities. Children of all ages learn about the unique animal species that make the canyon their home. 10-11 a.m. Free. 27305 Palos Verdes Drive East, Rolling Hills Estates. For more information, contact (M-F) (310) 541-7613 or (S-S) (310) 547-0862 or RSVP at: www.pvplc.org, Events & Activities. Spend time with retired Children’s Librarian Carla Sedlacek for stories and activities featuring nature themes, exciting props and songs. 10-11 a.m. Free. White Point Nature Preserve, 1600 W. Paseo del Mar, San Pedro. RSVP at www.pvplc.org Events & Activities. Enjoy an easy 90 minute stroll led by Los Serenos docents along the Vicente Bluff Reserve. Tour ends with a visit to the Point Vicente Lighthouse. Coast Guard Auxillary will be present to provide information on this historic landmark. Free and all ages are welcome. 10 a.m. 31501 Palos Verdes Drive West, Rancho Palos Verdes. For more information, please contact 310-544-5375 or visit losserenos.org. Peter Breslin draws on five years and 9 field seasons on islands in the Pacific off the coast of southern Baja California to present a panoramic view of rare cactus and succulent species found only in that region. 1 p.m., South Coast Botanic Garden, 26300 Crenshaw Blvd., Palos Verdes Peninsula. For more information visit southcoastcss.org. In full swing in Lunada Bay with Random Sequence, Jason Buck’s ongoing jam band playing at 5 p.m. Corner of Palos Verdes Drive West and Via Carrillo, Palos Verdes Estates. At White Point Nature Preserve, 8:30 a.m. Explore the birds making a home in the restored habitat. Binoculars supplied for beginners. Free. All ages welcome. White Point Nature Preserve is located at 1600 W. Paseo del Mar, San Pedro. RSVP at: www.pvplc.org, Events & Activities. Peninsula Friends of the Library, Malaga Cove Library, 2400 Via Campesina, Palos Verdes Estates, 10 a.m. – 5 p.m. (310) 377-9584 x 553. Palos Verdes Peninsula Land Conservancy offers a naturalist-led nature walk includes a visit to the Tongva Native Plant Gardens, a walk through restored coastal sage scrub habitat and a stop at a former gun emplacement. It concludes with a visit to the Nature Education Center. 9 a.m. This is a moderate walk. Free. White Point Nature Preserve, 1600 W. Paseo del Mar, San Pedro. For more information, contact (M-F) (310) 541-7613 or (S-S) (310) 561-0917. At White Point Nature Preserve, 9 a.m. – noon. Help beautify the native demonstration garden and surrounding habitat. 1600 W. Paseo del Mar, San Pedro. Sign up at npvplc.volunteerhub.com. Put on your grubbies and take part in a kid friendly habitat restoration activity: plant seeds, care for native plants, and track wildlife. Children of all ages will begin to understand the role that they can play in nature conservation. 10 -11 a.m. Free. George F Canyon Preserve, 27305 Palos Verdes Drive East, Rolling Hills Estates. For more information, contact (M-F) 310-541-7613 or (S-S) 310-547-0862 or RSVP at: www.pvplc.org, Events & Activities. Friends of Banning Museum will celebrate the birthday of the “Father of the Los Angeles Port” Phineas Banning with a special evening of music and dancing. Guests will be treated to a Western-themed evening with live music provided by local favorite, JB and the Big Circle Riders, free line dance instruction, country style dancing. 5-8 p.m. Country Western attire is admired but not required. $10 general admission, free for Friends of Banning Museum members and children 11 and under – BYO dinner and beverage, blanket/low chair and enjoy the concert, line dance instruction and dancing on the front lawn. $45 VIP includes on-site BBQ buffet dinner prepared by The Outdoor Grill, line dance instruction, reserved seating and gated parking. Guests are welcome to bring their own wine or beverage. Reservations required. The Banning Museum is located at 401 East “M” Street, Wilmington. For more information or reservations, (310) 548-2005 or www.thebanningmuseum.org. Guitarist Dirk Freymuth and piper Eric Rigler perform free Sunday, August 19 at the Neighborhood Church. BYO picnic beginning at 5:30 p.m.
Eric Rigler (soloist on Braveheart, Titanic, The Simpsons, etc.) and multi-talented guitarist Dirk Freymuth create a musical panorama of Celtic spirit and energy. 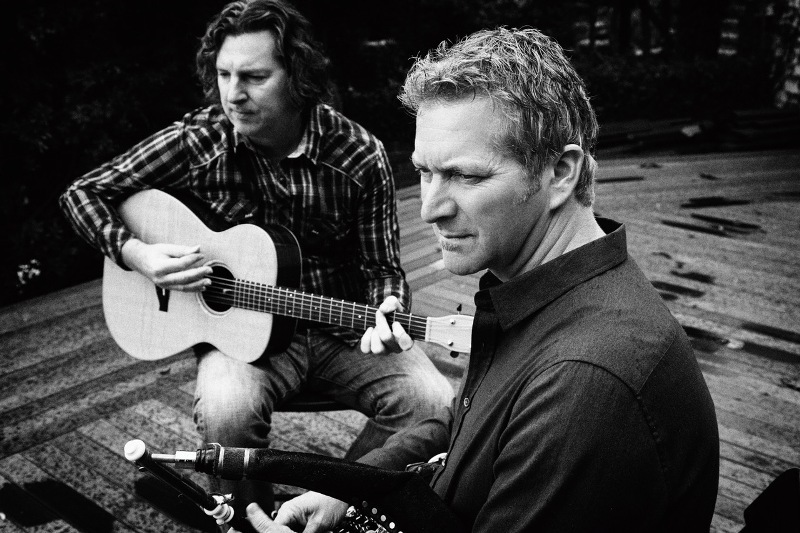 Drawing from haunting Irish melodies, blazing jigs and reels, and themes from Eric’s film and television work, the two produce a sublime sonic experience. BYO picnic at 5:30 p.m. Free concert at 6:30 p.m. No tickets or reservations required! Seating provided. A freewill offering will be collected. The Neighborhood Church, 415 Paseo del Mar, Palos Verdes Estates. For more info, visit www.ncpve.org. Learn about native plants and gardening skills. Bring good shoes, hat and water. 10 a.m. – noon. Point Vicente Native Garden, 30940 Hawthorne Blvd., Rancho Palos Verdes. RSVP to Megan Roy, megan@sccnps.org. In this workshop facilitated by Sr. Mary Mortz, participants will examine all the busy aspects of their life as they decorate a paper plate to show how they live out a 24 hour day. Engaging and hands on, this is a wonderful light hearted way to see “what’s on our plate”! 2-4 p.m. $20 ($25 after 8/10). Mary & Joseph Retreat Center, 5300 Crest Road, Rancho Palos Verdes. Call Marlene Velazquez at (310) 377- 4867 x234 for reservations or information. Explore the birds in nesting season at George F Canyon Preserve presented by the Palos Verdes Peninsula Land Conservancy. Free and all ages welcome. 8:30 a.m. 27305 Palos Verdes Drive East, Rolling Hills Estates. RSVP at: www.pvplc.org, Events & Activities. Get ready to shake it to some of your favorite rock n’ roll classics at this summer’s biggest Pedro concert supporting the non-profit, Clean San Pedro! The Kingsmen will be headlining plus one of the biggest Beach Boys tribute band, Surfin’! KRTH 101 legend Brian Beirne will host. Box office phone hours are Monday to Friday 10 a.m. – 6 p.m. For more info or to purchase special ticket packages, call (310) 833-4813. www.encoresouthbay.org. 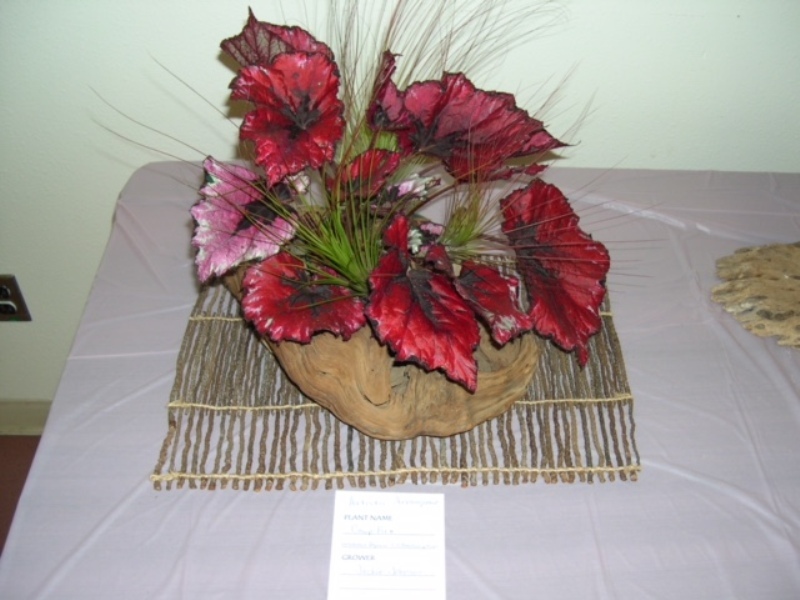 Begonia Society’s annual show and sale will be held Aug. 25 at the South Coast Botanic Garden. Above, “Campfire” by Jackie Johnson. Annual Begonia show and sale, 9 a.m. to 4 p.m. Unusual begonias on display by club members and specialty vendors. Adults $9, seniors and students $6, children 5-12 $4, under 4 free. Free parking. For more information contact Carol Knight: cknightgardens@yahoo.com, (310) 833-3466. South Coast Botanic Garden, 26300 S. Crenshaw Blvd., Palos Verdes Peninsula, (310) 544-1948. Plants sold on first-come, first-serve basis. At George F Canyon Nature Center, 10 a.m. – noon. 27305 Palos Verdes Drive East, Rolling Hills Estates. At White Point Nature Education Center, noon – 2 p.m. 1600 W. Paseo del Mar, San Pedro. For more information, contact (310) 541-7613, M-F, or (310) 561-0917, S-S. Celebrate National Honeybee Day with award winning writer Aimee Lissantheia, author of The Amazing Adventures of Melissa B. 11 a.m. White Point Nature Preserve, 1600 Paseo Del Mar, San Pedro. RSVP puplc.org. American Honda presents “Honda Evening Under the Stars” Gourmet Food and Wine Festival, benefiting Torrance Memorial Medical Center. The event takes place from 6 to 9:30 p.m. on the grounds of Honda Headquarters in Torrance, located at 700 Van Ness Ave. Performance by saxophonist Kenny G, along with samplings of the best in South Bay cuisine and more than 80 varietals of wine. For tickets and information, please call (310) 517-4703 or visit Torrancememorial.org/EveningUndertheStars. In full swing in Lunada Bay with Tenn West playing early from 3 – 5 p.m. Located on the corner of Palos Verdes Drive West and Via Carrillo.